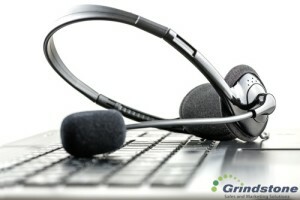 B2B telemarketing services provide the tools you need to reach your audience. Without a plan, your telemarketing lead generation tactics can quickly fall short of your goals. For this reason, it’s critical to work with B2B telemarketing services that have the experience putting together a plan that will get results. With the right help, you will not only know how to approach your telemarketing in the most effective way, but you will also be able to track your results to show you just how well it is going. Depending on the complexity of your plan, you may select several goals you want to reach with each call or series of calls. While many of the objectives you put in place will address the positive calls that result in new leads for your business, there’s good reason to focus on the outcome of negative calls as well. It’s a common occurrence in telemarketing sales to encounter people who simply aren’t interested for a variety of reasons. This can be discouraging, but you can use these calls to your advantage. Engaging the individual by asking why they aren’t interested can help you gain a full understanding of how you can better reach other people. Knowing why they say no is a valuable resource you can leverage to your advantage. There are two ways you can handle any negative calls that come your way. You can either give up and end the call politely or you can push ahead to learn their reasons. In addition to leveraging this information to help you address concerns in future calls, you can gently guide the individual toward overcoming the obstacles and convince them your business is the right choice to satisfy their needs. B2B telemarketing services can be used to help generate more sales though their telemarketing lead generation strategies. However, if you don’t have a plan, you may quickly find you aren’t noticing the returns you expect. For this reason, it’s critical to work with your telemarketing service to determine your objectives and learn how to use every call to your advantage, regardless of the outcome of the conversation. If you’re looking for B2B telemarketing services to help you reach your target audience, contact us. We provide the valuable telemarketing service you need to reach your target audience and generate more leads.